IN A WORLD where too many people put too much effort into showing off, perhaps Gerard Unger’s most striking quality was his profoundness. You could always be sure that whenever Gerard expressed his opinion, behind his words lay reasoning, experience, and wisdom. This made working with him both pleasant, reassuring, and not seldom fun, because even though Gerard was a man who took most things – his profession not least – seriously, his dry sense of humour was frequently allowed to shine through and the man’s astonishing knowledge of matters far beyond the narrow field of typography could pave the way for surprising associations which made all of us laugh. 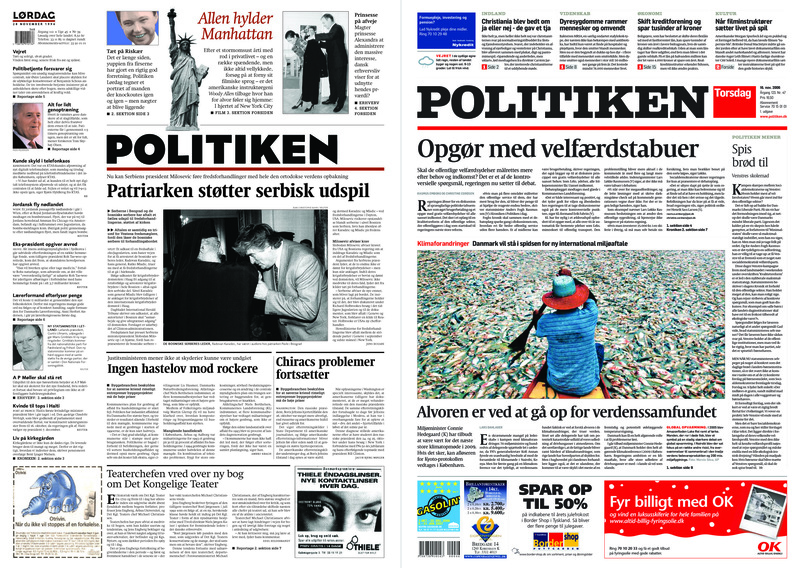 GERARD AND I FIRST MET in 1995 when I had been commissioned to redesign Politiken and was on the look for a typeface worthy of replacing New Century Schoolbook which had been a signature typeface of the Copenhagen daily ever since Austin Grandjean had introduced it in his revolutionary 1968 redesign. To generations of newspaper readers, New Century Schoolbook had become synonymous with Politiken’s left-centrist journalism and its open-minded tone of voice, and finding a proper alternative was far from an easy task. The newly redesigned (by Mario Garcia) Der Tagesspiegel caught my eye, and I contacted the man behind the novel typeface that could make reading massive blocks of small letters an almost joyful experience. It was, of course, Gerard’s brand new Gulliver, a giant among lilliputs. With Gerard’s permission, I started testing Gulliver on Politiken prototype pages and had been doing this for about a month when all of a sudden and with no further explanation, Gerard told me (via fax, because that was how we communicated back then) to discontinue my experiments, delete the fonts from my computer and forget about introducing Gulliver in Politiken. 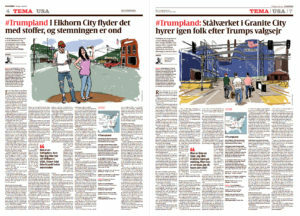 The reason, I found out later, was that Berlingske – Politiken’s main competitor – was also working on a redesign and had rushed in to pay a fortune for obtaining exclusive rights to use Gulliver in Denmark. ANYWAY, Gerard and I had now made contact and when he suggested Swift as a viable alternative to the Gulliver we couldn’t have, he and I agreed to meet and work together for a couple of days to see if it might be possible to adjust the rather crude lettershapes of Swift – originally designed to perform well on the low-resolution laser writers of the eighties – and turn them into something that would work as a newspaper headline face. Gerard somehow managed to be humble and authoritative at the same time. It must have taken him less than five minutes to realize how much more capable and experienced he was compared to me, who by then had no more than a handful of small-scale newspaper design projects in my portfolio; still, he would listen respectfully to every point I tried to make and every idea I put on the table, and did his best to loyally execute my suggestions without compromising his own professional integrity. I like to think that the final result, which we decided to name Swift Politeia, was the product of Gerard’s immense skills as a type designer and my critical, some would call it perfectionist, eye. FOR REASONS BEYOND OUR CONTROL, this project never made it into actual production (apart from a short-lived Sunday supplement in which we had decided to use the regular version of Swift for headlines as well as body text). 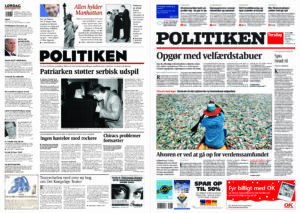 Still, I was pleased to see that ten years later, when Politiken finally managed to carry through with a complete redesign (by Palmer Watson), a new creation from Gerard’s hand – Capitolium News – made the look not unlike what we had been imagining back in 1995-96. DURING OUR COOPERATION, Gerard and I became friends, and we worked together a couple more times over the years. I even enjoyed the satisfaction of completing my Gulliver experience when we got to introduce this unique typeface of Gerard’s in Hallandsposten. Whenever he and I met, I was impressed by how he managed to make every conversation both meaningful and entertaining. Gerard’s devotion to his craft, and to using this craft to try making the world a better, more enlightened place, should be an inspiration to everyone. I am grateful to have known him. Having worked with education for more than forty years, certain moments I’ll never forget. One such was when I was giving feedback on a poster assignment and tried to explain to a student why I disagreed with her choice of typeface. I must have been talking for pretty long (too long, she obviously thought) about how the visual language of the lettershapes was very different from that of the artwork, without this contrast really adding anything meaningful to the composition, when the student interrupted my monologue, asking: ”Is it really so important?”. For a few seconds, I didn’t know quite how to respond, then uttered something like ”well of course, nobody’s gonna die because you chose the wrong typeface so I guess it’s not that important … on the other hand, if you wish to deal with communication on a professional level you should learn how to make meaningful choices, and combining your illustration with a different typeface might have helped getting the message across more effectively”. 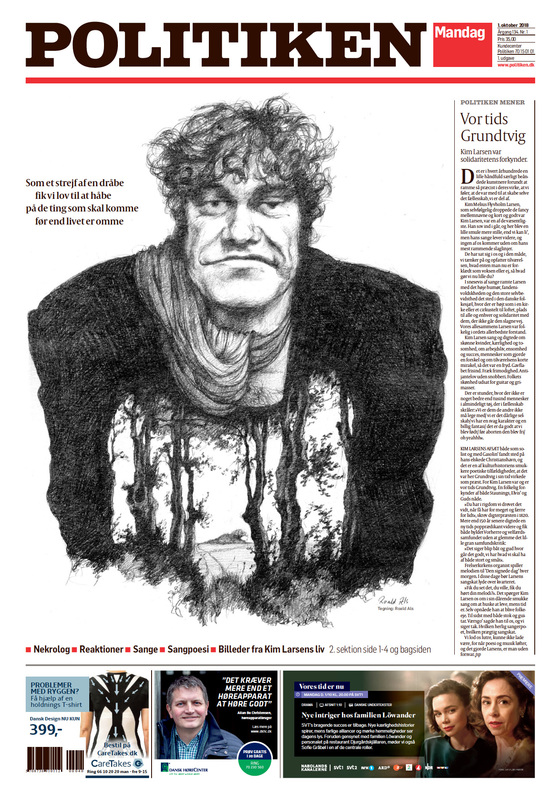 Looking at this page from today’s Politiken made me recall this experience from long ago, as I suddenly saw myself in an imaginary discussion with those responsible for the page, concerning their choice of illustration – in this case, a photograph. The story is an interview with a retired Danish politician who disagrees with the Danish immigration policy and the headline quotes his main point, saying “The broad consensus on a strict immigration policy will end up being a parenthesis in history”. I assume that the person in the photo must be the interviewee; however, my assumption is merely based on the fact that if it were a different person, this photo would make even less sense. 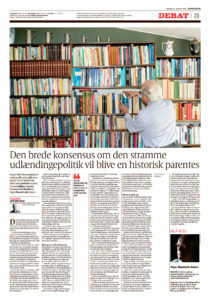 Nowhere in the interview does Asger Baunsbak-Jensen refer to his library and his apparent fondness of literature is not mentioned, not even hinted at, in the story. The photo does not let us know what he looks like or suggests what mood he might be in, it only shows an old man picking a title from a bookshelf. As the name of the book cannot be read, its potential relevance to this interview about immigration policy remains a mystery. And as the image is not accompanied by any explanatory words (the caption only tells us the name of the photographer), interpreting this photo becomes pure guesswork. But this time, my answer comes without hesitation: Yes, it IS important! Some readers may look at the photo and try relating it to the story. A lot of these readers will probably get the impression of an old man who sees the world through his books and who is out of touch with what’s really going on out there. In the eyes of some viewers, Baunsbak-Jensen’s posture and the combination of his long, white hair and increasing baldness will make him look slightly ridiculous. Of the readers who pay attention to this photograph, I am pretty sure that it will make very few of them more positive towards Asger Baunsbak-Jensen and his points of view than they already were; more likely, the photo will make most of them less inclined to agree with him. This is concerning the group of readers who will notice the photograph at all and try to interpret it. They are probably a minority. My guess is that most people won’t even look at this image for long enough to start looking for a message. At first glance, the photo appears to have no relevance to the story, and getting pointless visual impressions is nothing new to us; in fact, we are bombarded with images of no particular importance every second of our waking life. This just becomes one more. We’ll move on to something that makes sense. If I’m right, that turns Politiken’s choice of illustration into a mere waste of space and paper. And yes, that IS important. 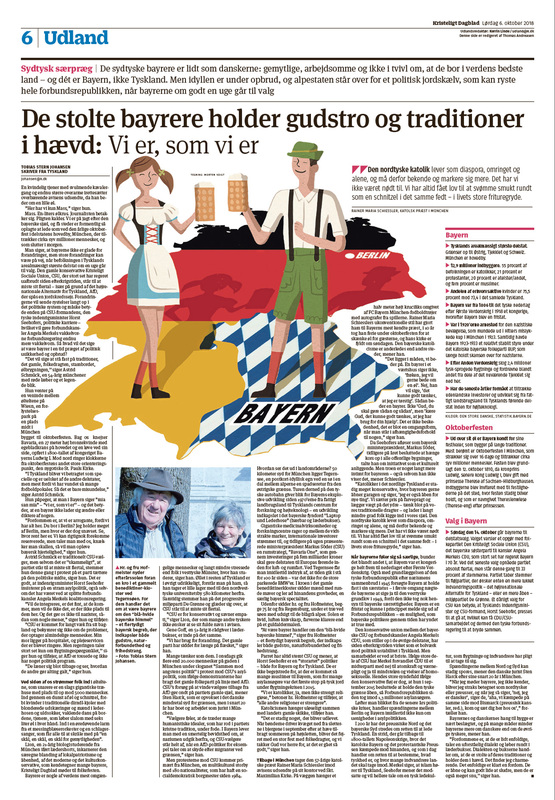 Reading the first paragraphs of Tobias Stern Johansen’s story about Bavaria (Bayern) from last Saturday’s Kristeligt Dagblad is pure pleasure. I’ll translate: “A female waiter with a voluptuous cleavage, and even more impressive biceps, indulgently corrects the reporter when he orders a small beer. ’Here, we have nothing but Mass,’ she says. Mass. One litre beer mugs. Thanks, but no thanks, the journalist responds. Duty is calling. We are on the search for the Bavarian soul, and few places seem so obvious to go looking for it as the annual Oktoberfest which draws seven million people to Munich, the state capital”. The rest of the article is just as good. So what’s here not to like? Well, I have a problem with the choice of illustration. However beautiful and cleverly conceived, Morten Voigt’s combination of a map, the German flag, the Bavarian coat of arms, and a partying couple just doesn’t serve as a suitable companion to Tobias’ words. 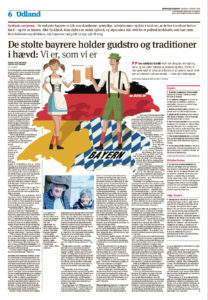 Reading the story raises visual questions about Bavaria and the Bavarians that this illustration cannot answer. It represents an abstract idea where showing reality would have done the job better. The maestro concept is an editorial work method which can improve how stories are told and make sure they address readers’ interests. 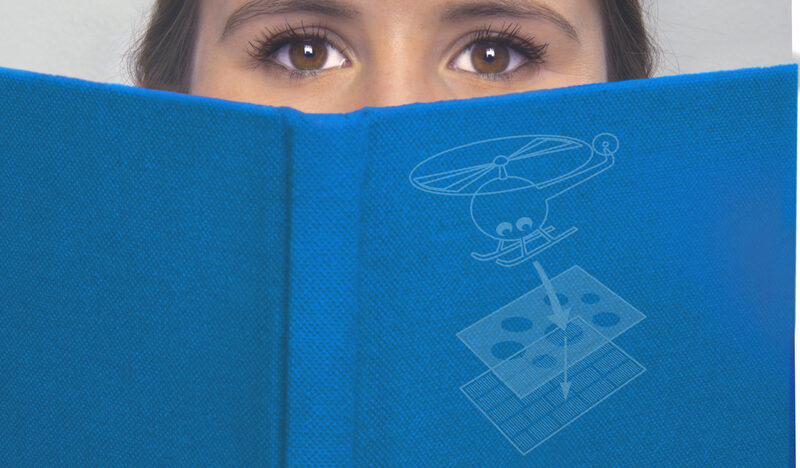 One of the advantages of this concept is that it can help you choose the right way to illustrate a story. Using it might have prevented unfortunate solutions like the above. But is there a “right” way? Isn’t that thinking too restrictively? Aren’t we striving to encourage creativity, to always look for new, inspiring ways to tell stories, visually as well as verbally? Yes and no. Original and unusual storytelling techniques can make people recognize, and remember, messages which might otherwise go unnoticed, therefore we must be open to new, surprising ways to visualize stories. But being open to something doesn’t mean you should always choose that solution. 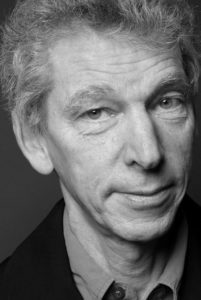 Because it’s also a fact that the image serves as the primer of a story – more often than not, the most important one – and as certain types of images suggest a certain type of story, using them for a different kind of journalism might confuse the recipient; the interpreter, in Gunther Kress terms. If you use a story planner like the one included in the maestro concept (and described in my book), a mandatory question will sound something like “which parts of this story can we tell through visuals?” or “can some of the reader’s most obvious questions be answered with visuals?”. And even if you don’t subscribe to planning schemes like the maestro concept, it’s still a very good idea to try seeing a story through the reader’s eyes and imagine what questions might pop up when a topic is introduced. Like, “I wonder what this looks like”. In the Oktoberfest case, a documentary photo, rich on detail, from the beer garden could have given the reader a more complete picture of the event. It would also have supported Tobias’ wonderful portrait of “the Bavarian soul” more effectively. 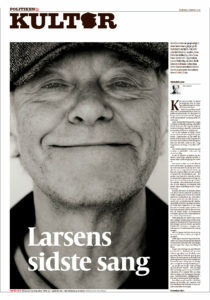 Kim Larsen er død. Sangeren og sangskriveren, der med Anne Sophia Hermansens ord (i Berlingske) leverede ”soundtracket til vores kærlighed, fandenivoldskhed og evige ungdom” forlod os søndag morgen og er hen over ugen blevet hyldet som en konge. Absolut velfortjent, for ingen anden dansk kunstner – måske siden Dirch Passer – opnåede i den grad at blive folkeeje, og til forskel fra Dirch har Larsen med sine sange sikret sig evigt liv i danskernes bevidsthed. Også hos dem, der ikke nåede at opleve ham. 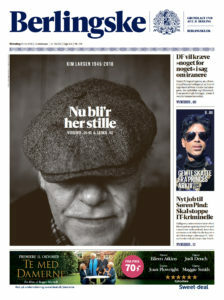 Mandagsavisernes tilrettelæggere kunne næppe have ønsket sig bedre forudsætninger for at levere en mindeværdig forside. En hel dag til at lede efter de rigtige billeder og finde på netop den sentens, der kunne matche Larsens sproglige opfindsomhed og fandenivoldskhed. Set i det lys er resultatet ærlig talt lidt skuffende. 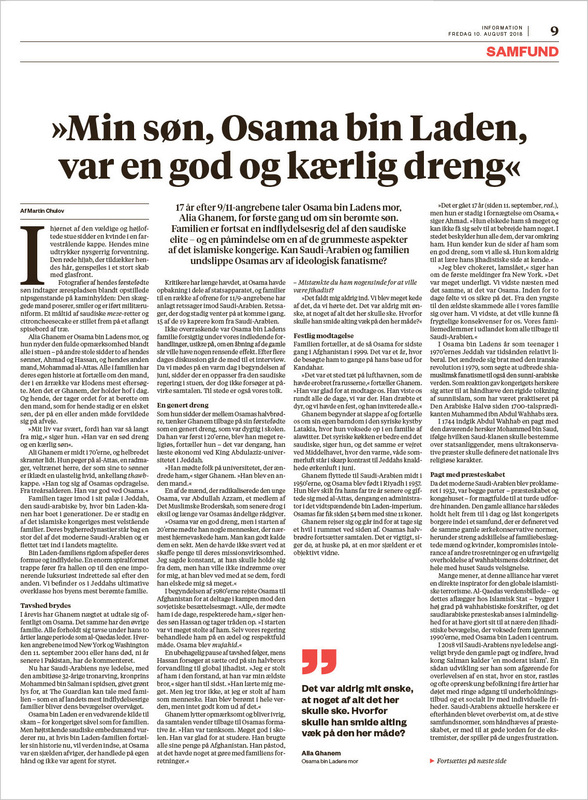 Berlingske har en fin reportage over fire sider, hvor avisen kommer rundt om Kim Larsens enorme betydning både for nuværende og tidligere generationer, men forsiden er slap og forudsigelig. ”Nu bli’r her stille” er en underlig umusikalsk parafrase over den smukke sang fra albummet Forklædt som voksen, og det bedste man kan sige om billedvalget er at det overlader en smule til fantasien, fordi kaskettens skygge dækker øjnene. 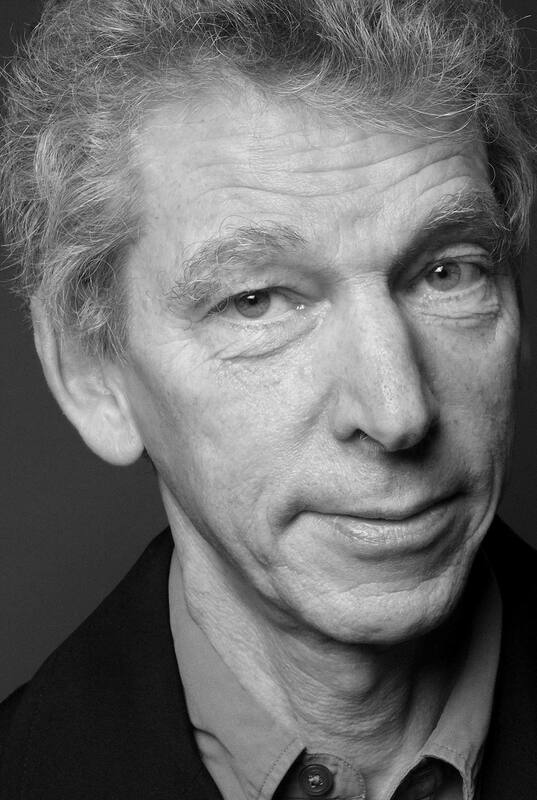 Hvorfor Larsens markante hageparti skulle skæres over, er svært at se; der er rigeligt luft i toppen til at man kunne have fået det hele med. 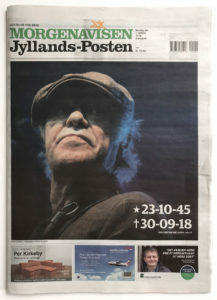 Jyllands-Posten lykkes bedre med sit kasket-billede, der lige netop lader os ane sangerens øjne inde under skyggen. Rubrikken markerer blot hans fødsels- og dødsdato. Ikke ligefrem noget originalt greb, men i kombination med rummet til højre i billedet, som Larsens stærke blik fører os ind i, lægger teksten op til fortolkning og antyder at der er meget mere i vente, hvis vi åbner avisen. B.T. 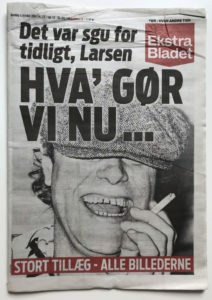 har valgt et sjovt foto, der understreger Larsens gadedrengeimage – og samtidig nedtoner, eller rettere udraderer, mandens andre, nok så interessante sider. Fint nok med et kompromisløst valg, som sikkert også rammer ind i avisens målgruppe. Men med rubrikken ”Tak for alt, Kim” har man da vist ramt bunden, hvad angår provinsiel fantasiløshed. I min (og Larsens) ungdom var Ekstra Bladet avisen, der formåede at skære ind til benet, og med besnærende elegance – journalistisk såvel som grafisk – kunne destillere et budskab. Det synes at være dyder der er kastet ud med det badevand, der har skyllet flertallet af dygtige bladskræddere bort fra redaktionen. Det direkte tonefald i overliggeren ”Det var sgu for tidligt, Larsen” er det eneste gode der er at sige om denne forside, hvor endnu en sangtitel bruges uden fantasi, og elementerne kæmper i en kaotisk konkurrence om vores visuelle opmærksomhed. Billedvalget bidrager til forvirringen: Skal vi grine eller græde? 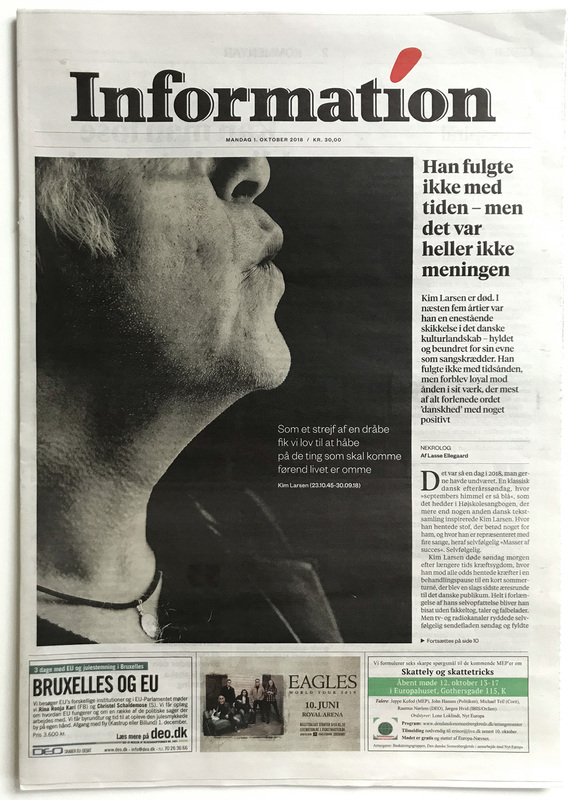 Information gør et behjertet forsøg på at hylde Kim Larsens poetiske kvaliteter ved at lægge en af hans smukkeste tekster ind i et enkelt og stilfærdigt billede, der fint udnytter det faktum at vi alle udmærket er klar over hvem det er der er død. Effekten svækkes desværre kraftigt af artiklen til højre, der er så anderledes i sit visuelle udtryk at man ved første øjekast tror den handler om et helt andet emne. Her kunne en overligger have gjort underværker, men hvis de fire små verselinjer for alvor skulle have haft kommunikativ effekt, skulle artiklen være flyttet ind i avisen. 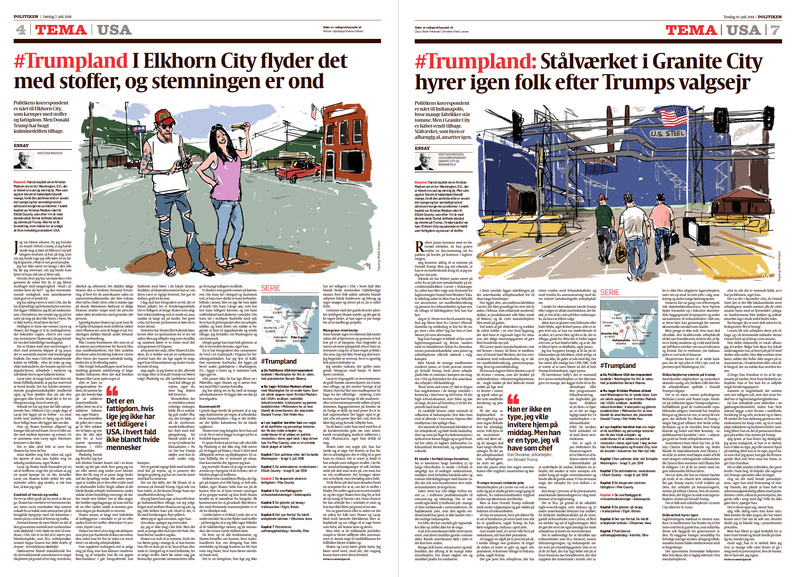 Forventningerne er altid størst til Politiken, og ambitionerne fejler heller ikke noget: Larsen i metamorfose med bøgeskov og kæmpehøj, tegnet af Roald Als, hvis karikaturer sædvanligvis rammer fantastisk præcist. Desværre ikke her – og samspillet med de fire verselinjer, der fungerede så smukt med det poetiske foto på Informations forside, skurrer fælt når teksten sættes sammen med en tegning hvor Larsen (i den udstrækning det overhovedet ligner ham) bare ser træt og arrogant ud. At redaktionen heller ikke selv har været overbevist om forsidetegningens kvaliteter, aner man når man ser samme avis’ sektionsforside. Det er jo strengt taget bare et andet bud på en A-forside. Hvorfor benytter man ikke pladsen til at vise mange flere facetter af en lang og broget karriere? Placeringen af Larsens profil i bladhovedet er også genbrug, en idé Politiken har brugt (for) mange gange, og rubrikken ”Larsens sidste sang” er måske et ordspil på ”Sangen om Larsen” fra Melodien der blev væk, men i så fald for mig at se form uden indhold. 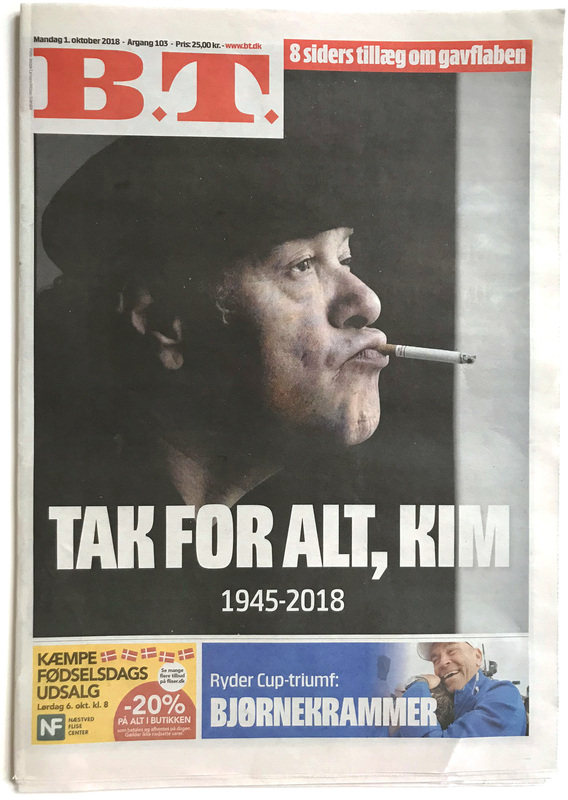 Hvad menes der med det, og har Kim andet end efternavnet til fælles med Kjeld Abells grå papirnusser? Set over hele feltet: En temmelig rutinepræget præstation. 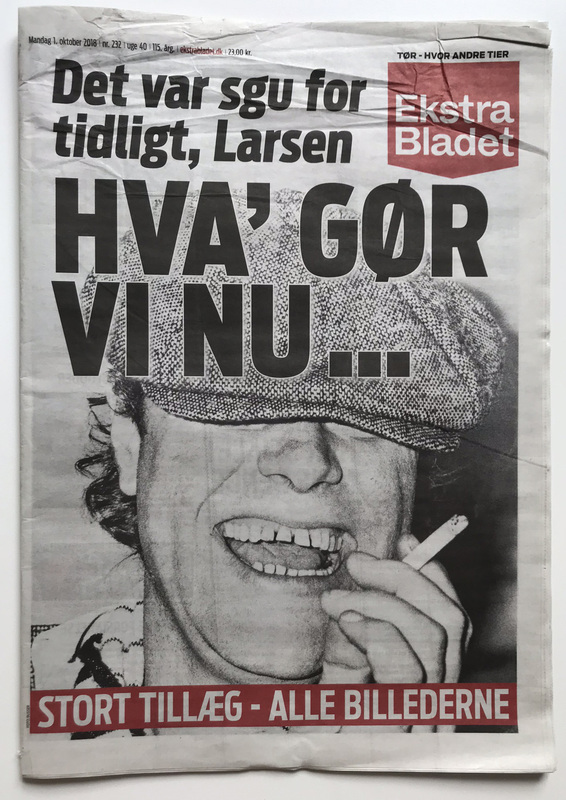 På den måde ganske godt i tråd med hovedpersonen, når han var værst, for Kim Larsen havde en møgirriterende forkærlighed for nemme løsninger. Men på sine bedste dage – og dem var der mange af i det halve århundrede, vi allesammen kendte ham – var han et kreativt geni, der kunne overraske os med sammensætninger ingen anden havde fantasi til at udtænke. Lidt ærgerligt, at ikke én af landets bladskræddere havde sådan en dag i søndags. Here’s an interesting example of what an image can do to a text. 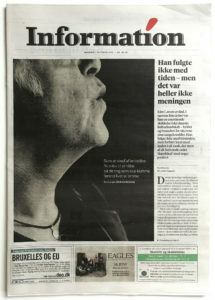 It is from today’s Information, a small Copenhagen daily aiming at a well-educated audience. This is a newspaper with high ambitions when it comes to visual communication – and in this case, as in many others, I think words and image have been combined quite successfully. A simple solution, sure, but simple is often best! 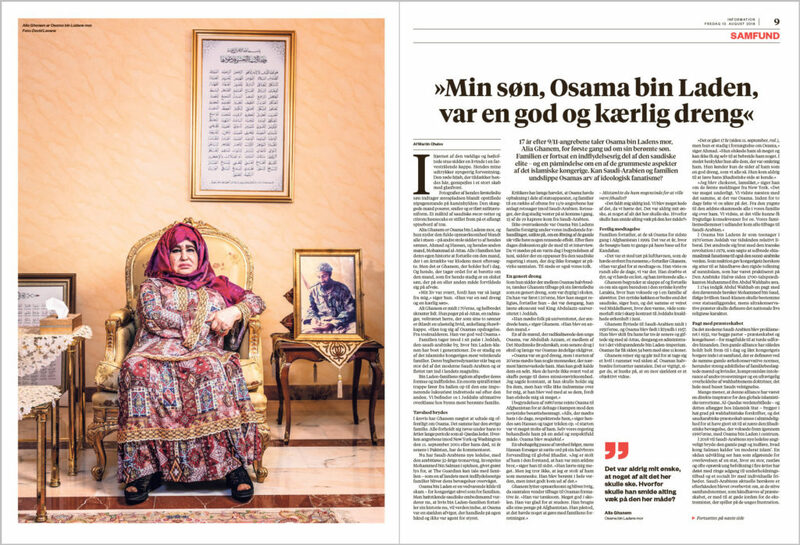 The headline reads: ”My son, Osama bin Laden, was a kind and loving boy”. Out of context, the assertion seems almost absurd. Everybody knows about the terrible things Osama bin Laden had on his conscience. Claiming that he was a kind and loving boy would seem appropriate only in a black comedy show. I bet you won’t believe it, and the fact that the source is bin Laden’s own mother will hardly affect your judgement; if so, probably just to convince you even more that this has to be a false statement. The way I see it, this photograph completely changes the validity of the assertion. I don’t mean to say that we suddenly start seeing Osama bin Laden in a totally different light – but the photo of his mother sitting in a chair in her living room, staring right into the camera, turns something that sounded like a wild allegation into an intriguing contradiction which deserves a closer look. Yes, this man was a terrorist and a mass murderer, but to the person who once gave birth to him, he was also a kind and loving son. The picture presents a woman who looks real, who looks sincere (and sad), who looks like she means what she says, and rather than just writing off the statement as inconceivable, we now get curious to know what lies behind it. Read the story, in other words. The fact that this is such a simple photo with few details, being run on a full page, furthermore sharpens our attention and encourages us to inspect the props so meticulously placed around and behind Alia Ghanem. The portrait, the quran quotes (I assume they are), etc. This interior looks so perfect I can’t help thinking if the photographer might have staged the scene. But that’s another story. Want to read more about visual topics? Feel free to visit Munkytalk, the blog I used to write – on and off – from 2011 till 2014.